There is much bad handwriting at large in the world. People in general do not intentionally write poorly; they are simply unable to write better. But why is this so? Several things in the learning process affect the quality of one’s writing and any one of these will have a major effect on the quality of the final product. Firstly, young learners get off to a bad start. We try to teach children to learn to write before they are mature enough to properly learn. Then we require them to write their class work and homework before they have really learned how to write properly. The resulting bad writing habits learned and ingrained here lay the foundation for a lifetime of bad writing. These poor writing habits develop and encourage the adoption of the two main hindrances to acquiring good handwriting —- excessive finger movement and gripping. These two faults produce a small, slow, cramped style of writing that usually stays with them through the rest of their lives unless corrected. To avoid this, we should require less writing of children and encourage them to write larger (wider lines on their practice papers, etc) which will lead them to arm movement when writing, not the cramped, finger movements. The handwriting will begin to flow from the arm almost automatically. The second major cause of poor handwriting is the complexity of the letter forms that are used for teaching. They are too difficult and intricate for the great majority of learners. The forms used for teaching the letters must be suitable for the average learner and not be involved forms appropriate only for the very dexterous who have the talent to become professional calligraphers. The author of the Arm Movement Method of Rapid Writing was the first to recognize this. Thus, the letter forms presented herein are simple, without being slow; plain, without being clumsy; and rapid, without being scrawly. This leads to the final reason for poor penmanship —- learners have not been trained in the Arm Movement. Some few, of course, attend a calligraphy school or a business college and receive instruction from a professional calligrapher. As for the rest, when finger movement and gripping have become ingrained habits, special instruction and extra effort are necessary to overcome the obstacles to achieving flowing, clear, beautiful writing. This has become much more easily attainable through use of a graded course of exercise plus concise, proper instruction. Good handwriting is that which is easily read and easily and rapidly written. Therefore, it must be simply constructed using straightforward, unadorned forms, and must flow smoothly and naturally. Who Can Learn To Write Well? The Arm Movement Method of Writing is so simple and natural it is suitable and fitting for all learners, including those with disabilities. Everyone can learn to write well using the system, simply by following instructions and practicing the simplified forms provided. The writing taught is devoid of difficulties and complexities and is thus within reach of all. People have varying capacities for learning, some learning quicker than others, but there is hope for all levels of learners. 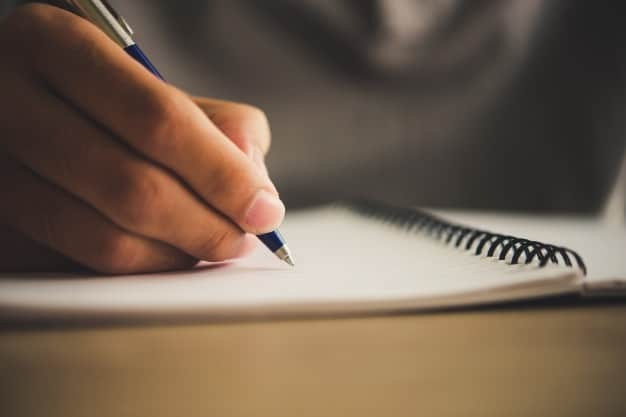 The Arm Movement Method of Writing is planned and presented in such a way that a nice, flowing handwriting style is available to anyone interested in good writing and who is prepared to work through a graded course to achieve it. First, place yourself in your usual comfortable writing position (seated at a desk, table, etc). Then place the alphabet to be learned or copied in front of you. Study it in detail, counting the strokes and noting their direction. Now close your eyes and make the letter in the air following the model seen with your “mind’s eye”. This fixes the proper, ideal form onto your mental tablet. We call this process mental photography. Now use your pen to write the form on paper, counting the strokes as you write, exactly as you did when writing in your mind. Make sure that the strokes are regular with none omitted. Write the letter this same way many, many times. Then move to the next letter and follow the same procedure (visualization, careful practice, and many repetitions). Persevere in this manner until you have gone through all of the letters. Writing, like spelling, reading, and calculating, is a necessary talent for everyday life. The educated person should be competent in all of these skills. The reed pen speaks for the writer. It preceded the printing press and faithfully recorded the myriad transactions in the world of trade and business for centuries. The ability to skillfully use the reed pen, a universally important instrument, is a duty which no one should neglect. Paper. Good paper is basic to producing good writing. Its surface should be fairly smooth, but not glossy. If you use just one side of the paper, 5-pound paper is adequate. A heavier, more opaque, paper is needed for writing practice on both sides of the paper. Ink. The ink should flow freely and be of a quality that permits drawing a range of lines, from faint hair-lines to bold, black strokes.